Continuously evolving over the past 20 years or more, the First 20 has become more aggressive and stylish. Beyond her modern make-over, she offers the best combination of safety, performance, and comfort in her class. Although small, this classic boat can be enjoyed in all weather. Although the First 20 has a racing temperament, she makes no concessions when it comes to safety. Built on a high performance Finot-Conq hull, her six foot lifting keel contributes to outstanding stability and improves her performance close-hauled. Yachtsmen are keen on the twin rudder helm and chain locker. By replacing the mast prop with a structure built into the deck, this coastal cruiser offers a feeling of interior space and comfort, second to none. From the deck hatch, ample light floods the generous interior with its four berths and numerous storage spaces. 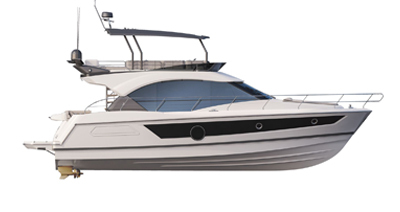 Fun and a high-performer, this unanimously acclaimed small cruiser embraces a racing yet assured style. Possessing all the desired qualities, she is loved for her ease of use and affordability. Whether for day-sailing or short cruises, the First 20 can adapt to all programs. With her lifting keel and outboard engine, she can be beached and transported on a trailer. No need for low shrouds, the unstayed rig clears the deck. Combining simplicity and performance, her sail plan is optimized with a square-top mainsail, furling genoa, 2016 code zero and optional asymmetric spinnaker. Although the First 20 has a racing temperament, she makes no concessions when it comes to safety. 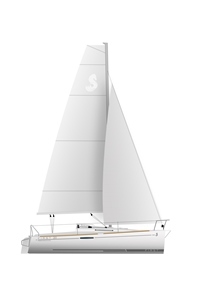 Nearly six feet, the lifting keel contributes to her stability and improves her performance close-hauled.